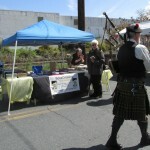 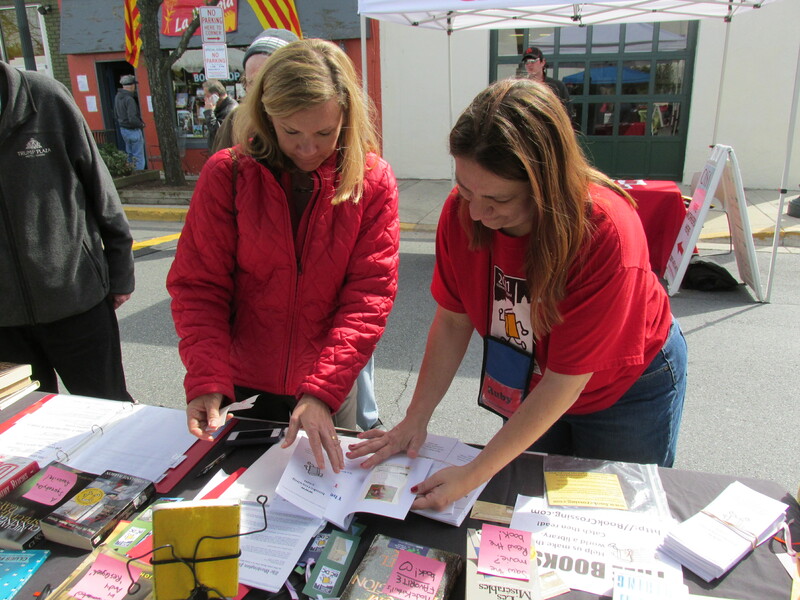 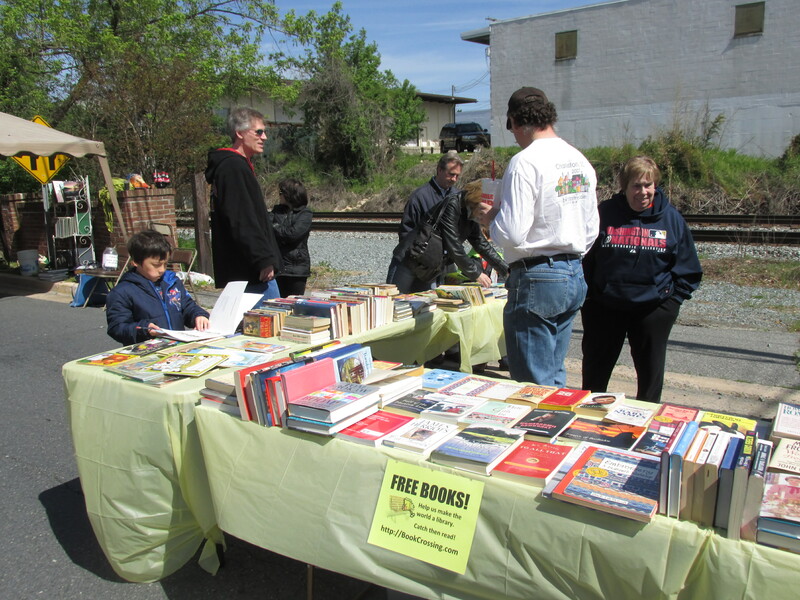 BCinDC had a table again this year at the Day of the Book festival in Kensington, MD on April 21, 2013. 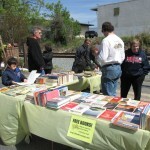 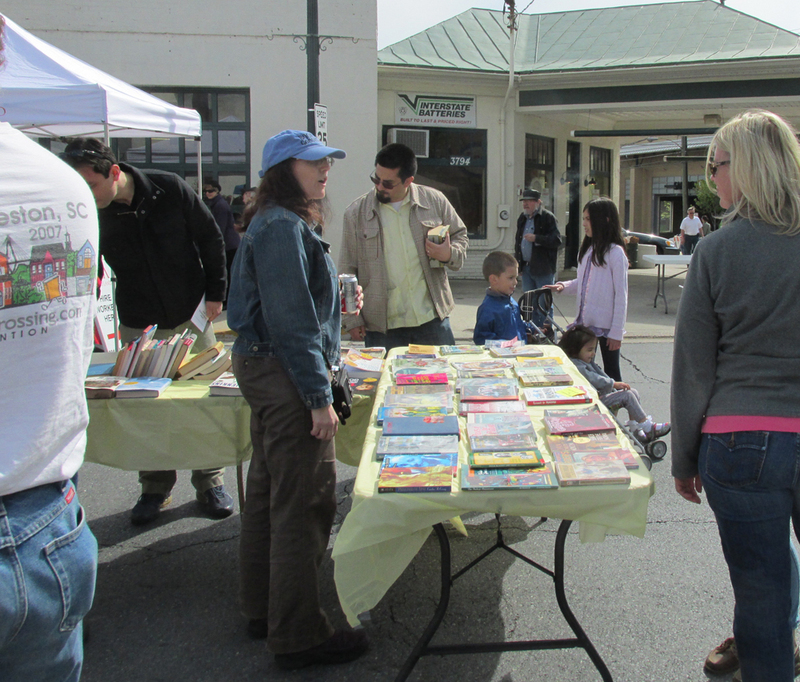 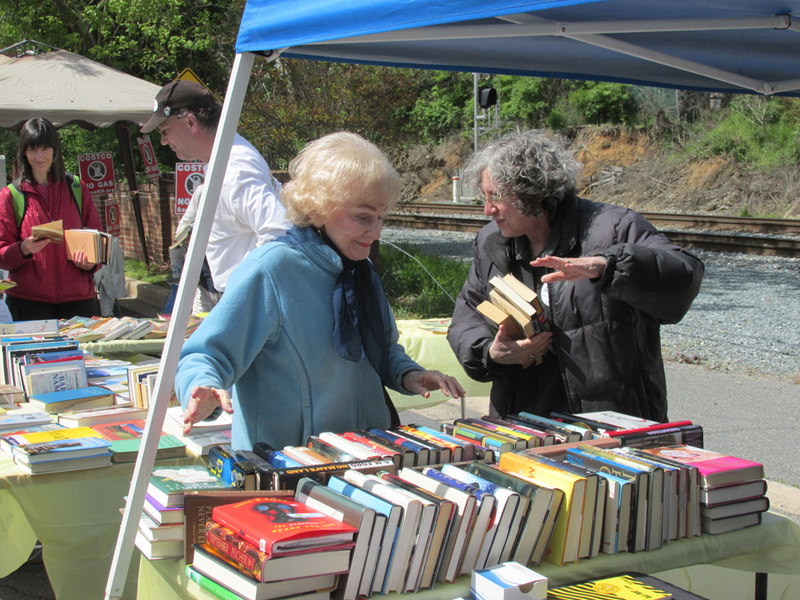 We brought over 1,200 books and managed to give away roughly 800 of them (the remainders will mostly be heading to the Gaithersburg book festival next month). 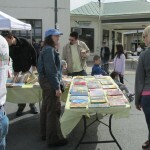 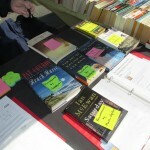 Weather was much better this year than last, which both the BookCrossers and the books seemed happy about. 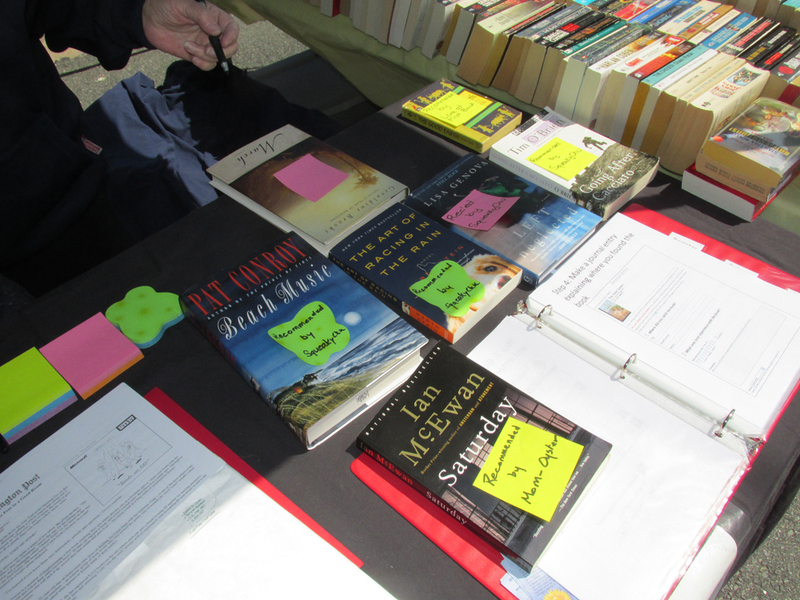 We had a few authors give us books, which we’ll circulate among our group members; we even had one author register her book right there onsite. 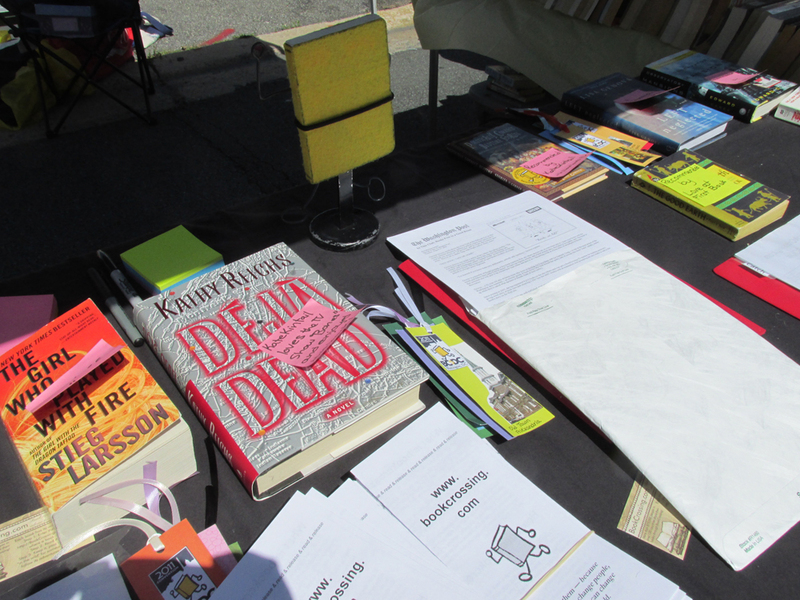 We also started a new section on the tables this year. 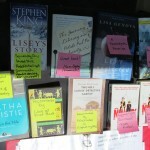 We had fiction, non-fiction, teen’s & children’s, and a new “BookCrossers recommend” section. 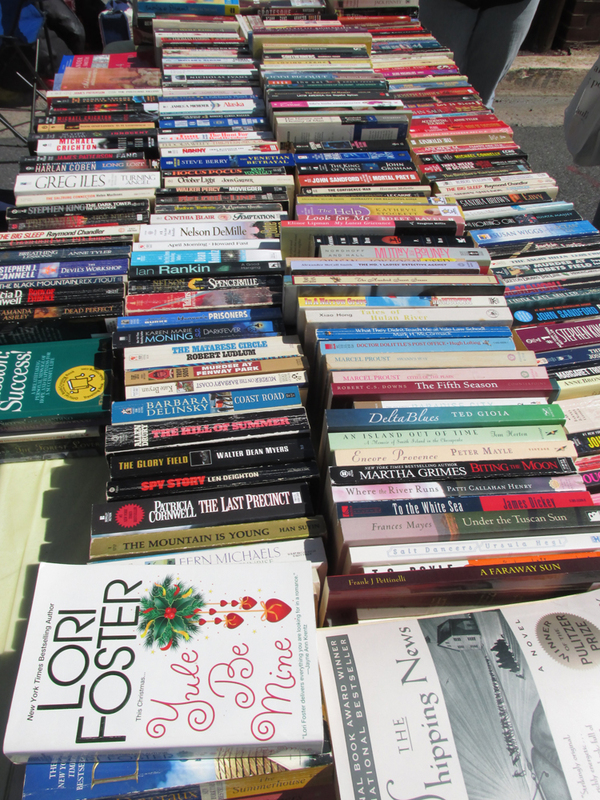 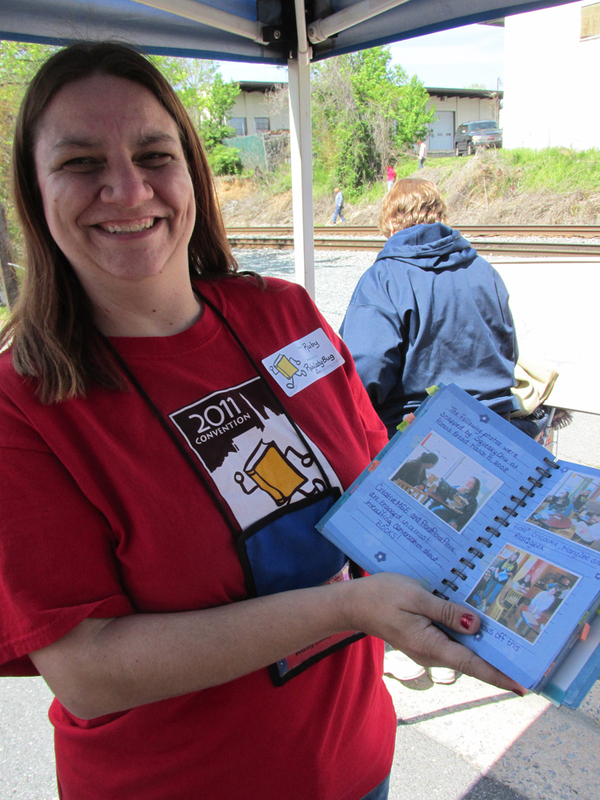 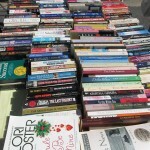 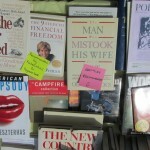 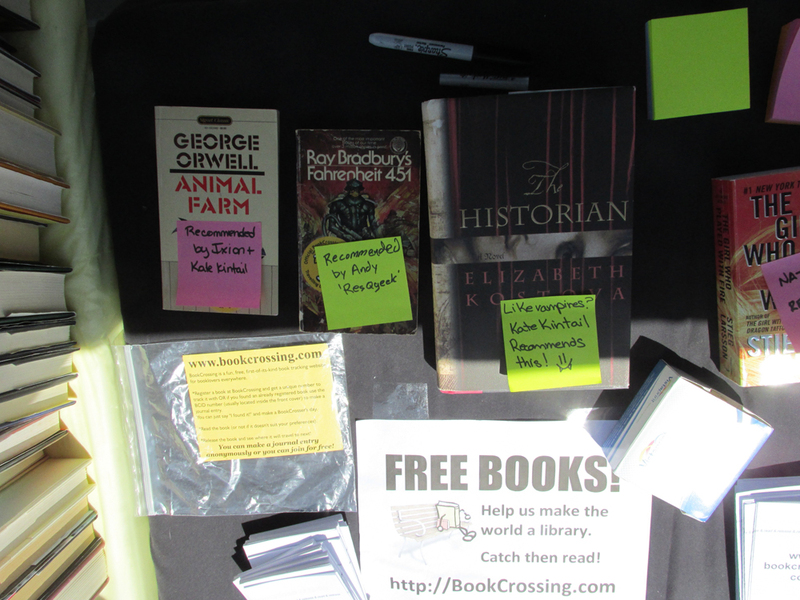 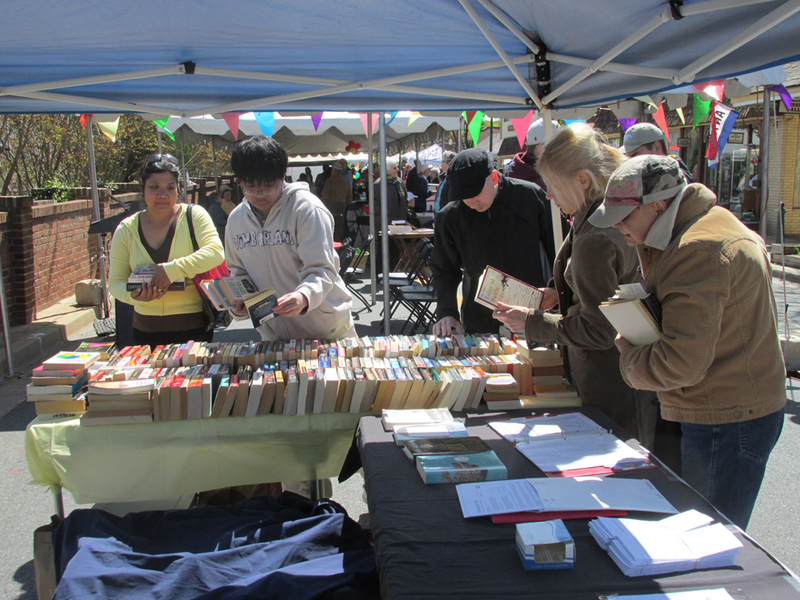 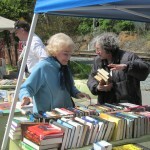 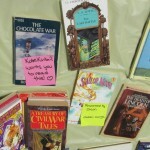 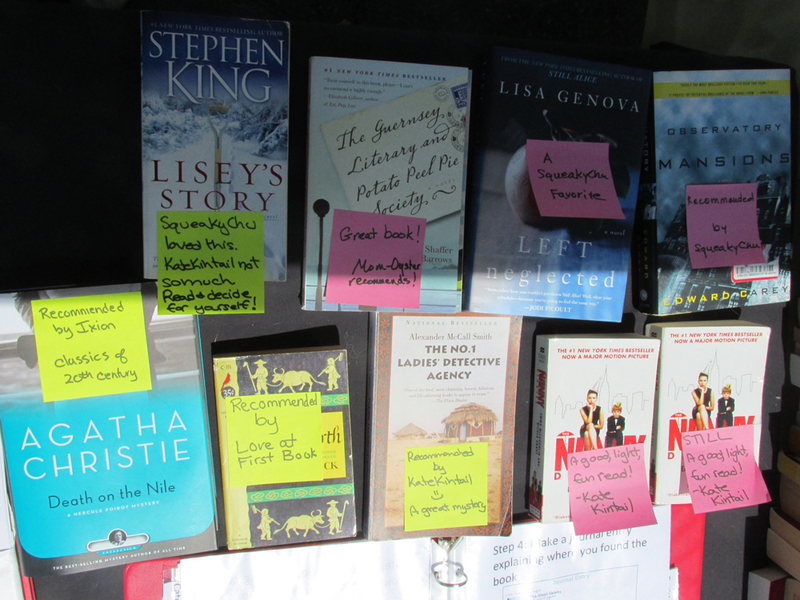 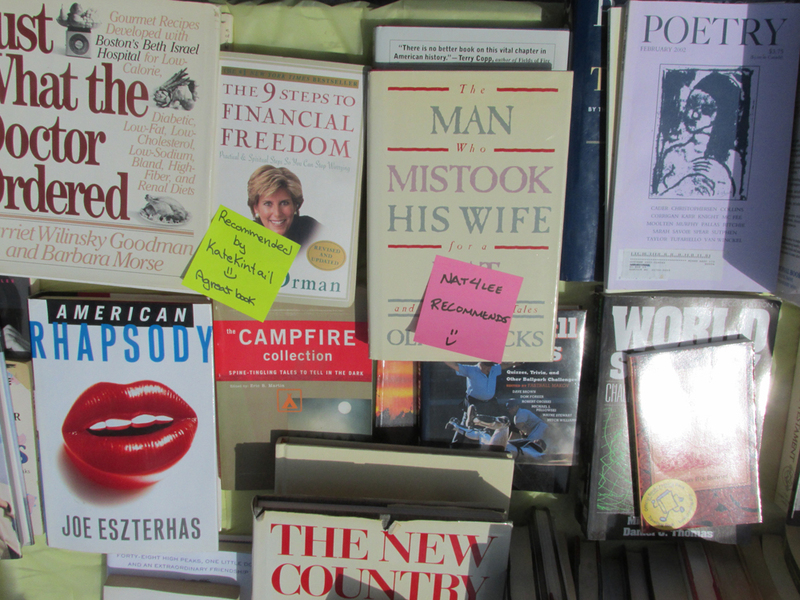 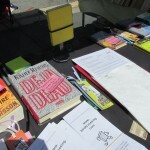 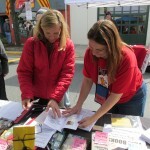 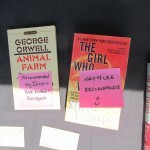 We had fun pulling out books we loved and even had some festival-goers recommend some books! 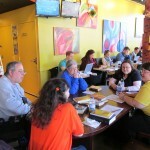 On March 24, 2013, BCinDC had our monthly meetup at Soho Tea & Coffee at Dupont Circle. 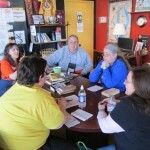 We discussed books, movies, and more. 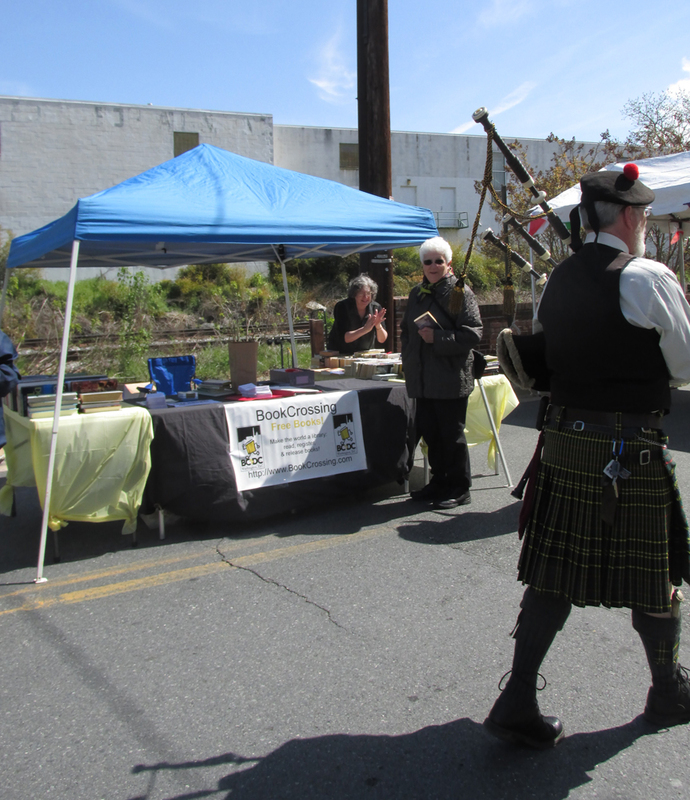 We also got to see a print of nat4lee’s hand-drawn historical Franconia map. 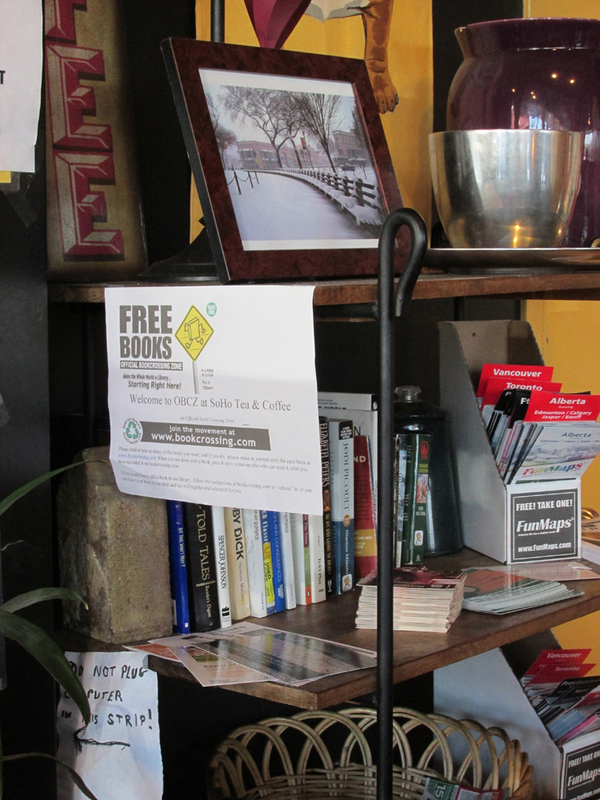 We also restocked the OBCZ shelf at the cafe. 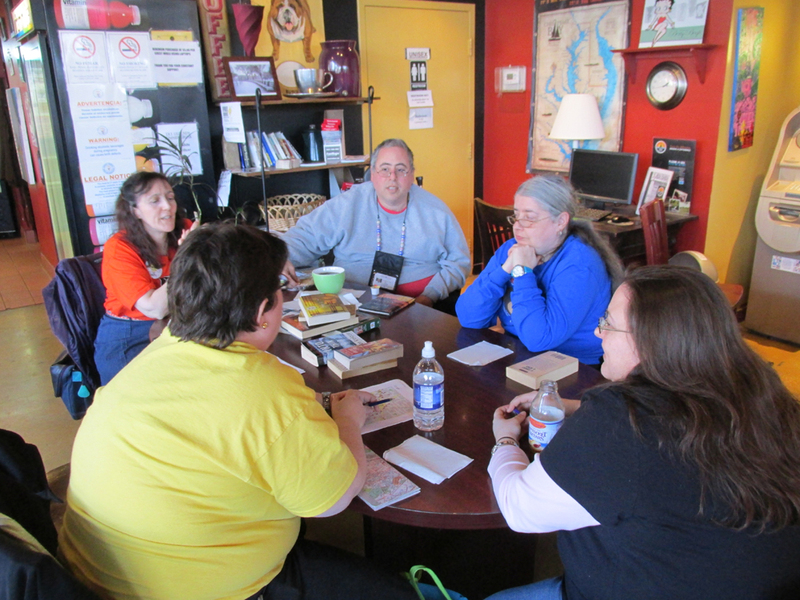 BookCrossers in attendance: authorauthor, FURBALL, Ixion, KateKintail, LN569, nat4lee, and 6of8. 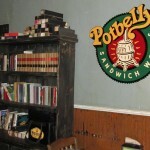 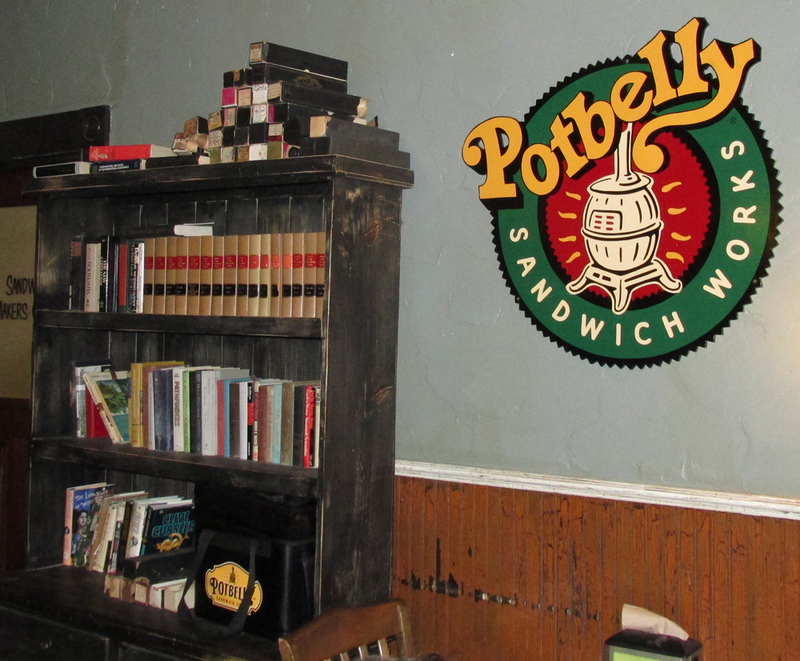 On February 9, 2013 BCinDC members met at Potbelly Sandwich Works in Crystal City (Arlington, VA). 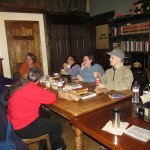 We had some good food and great conversation. 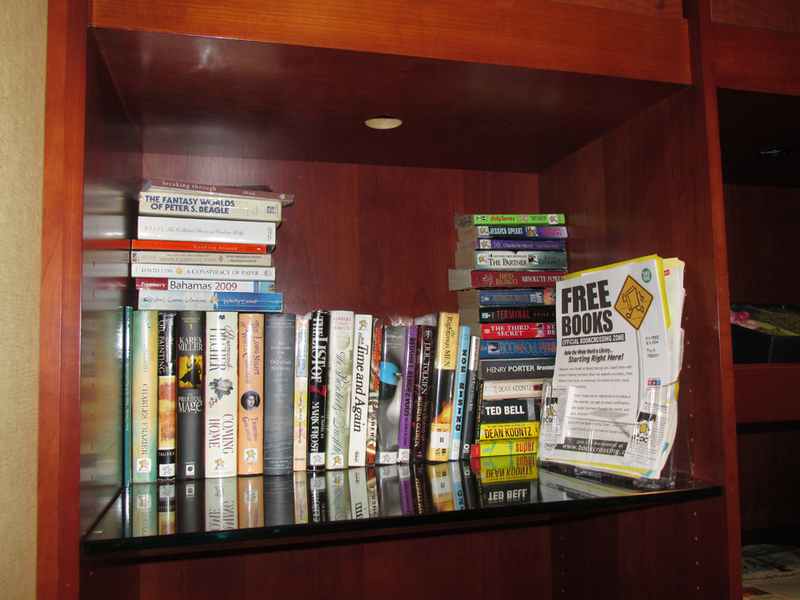 We also switched out some books on the shelf we recognized from our last visit there a year ago with some fresh new registered ones. 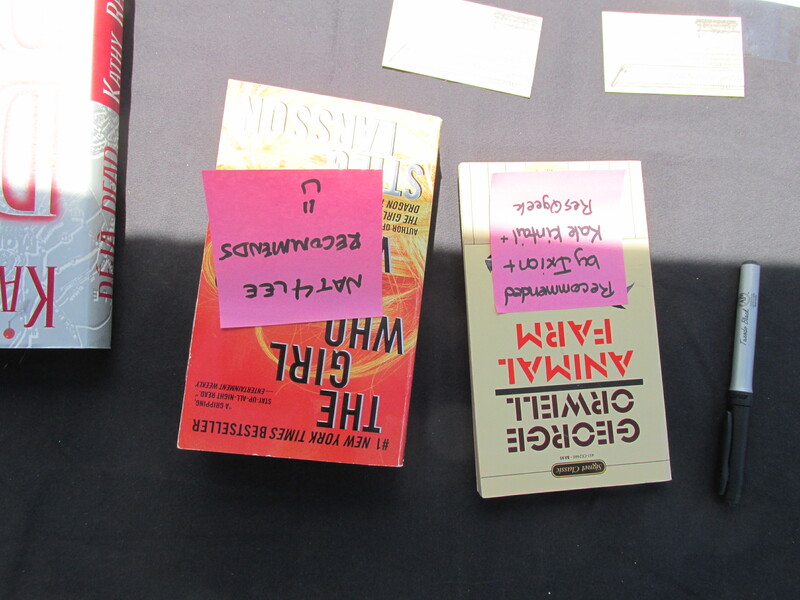 And we hid a book in a drawer that was part of the table at which we were sitting–who knows when it will be found? 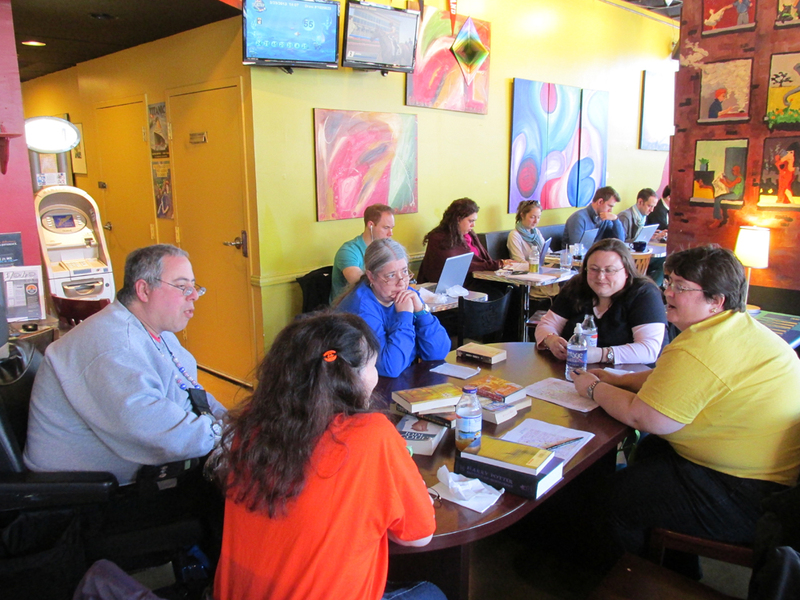 BookCrossers in attendance: authorauthor, FURBALL, Ixion, KateKintail, LN569, melydia, nat4lee, ResQgeek, and 6of8. 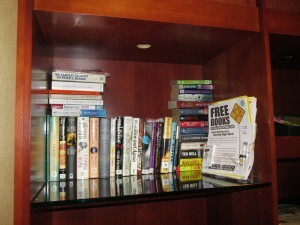 After the meetup, many of us headed over to the OBCZ at the Sheraton (where the convention was held) and restocked the shelf with books, labels, flyers, and some new business cards with an explanation about BookCrossing and our meetup group URL on them. 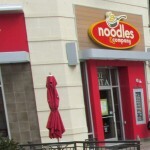 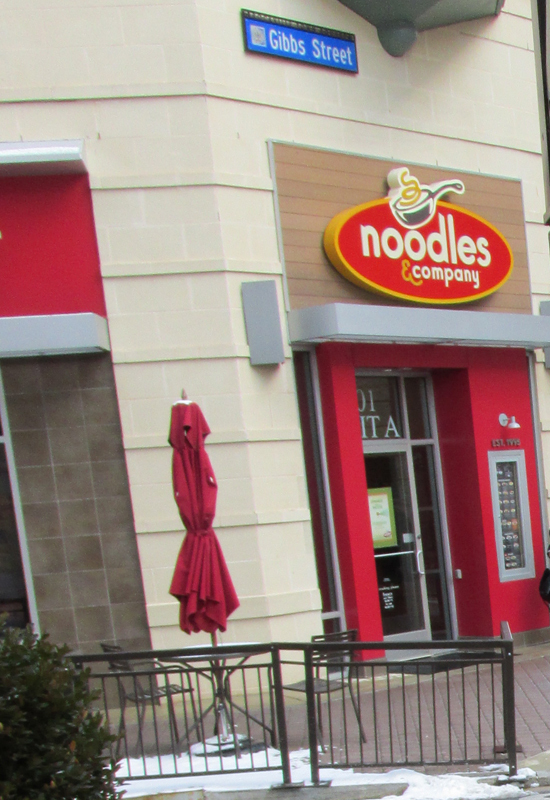 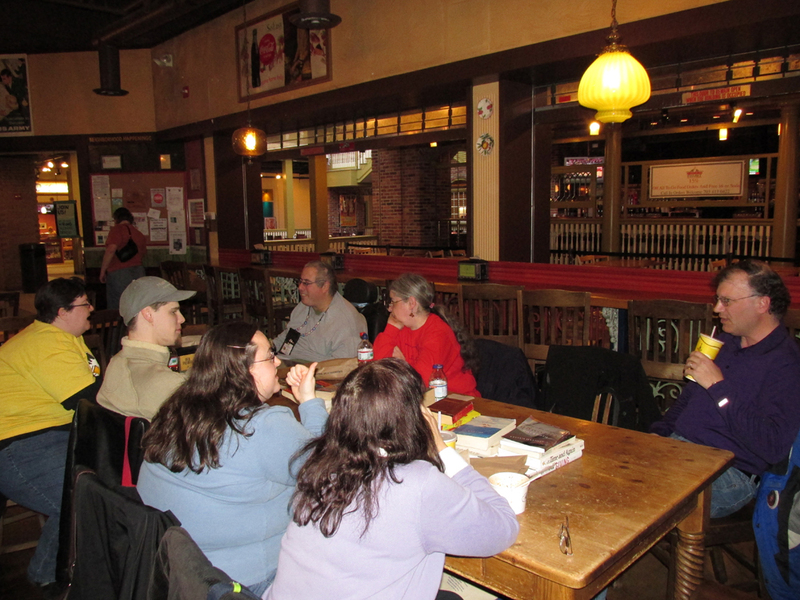 On January 26, 2013, BCinDC members met at the Noodles & Company in Rockville, MD to chat and swap books. 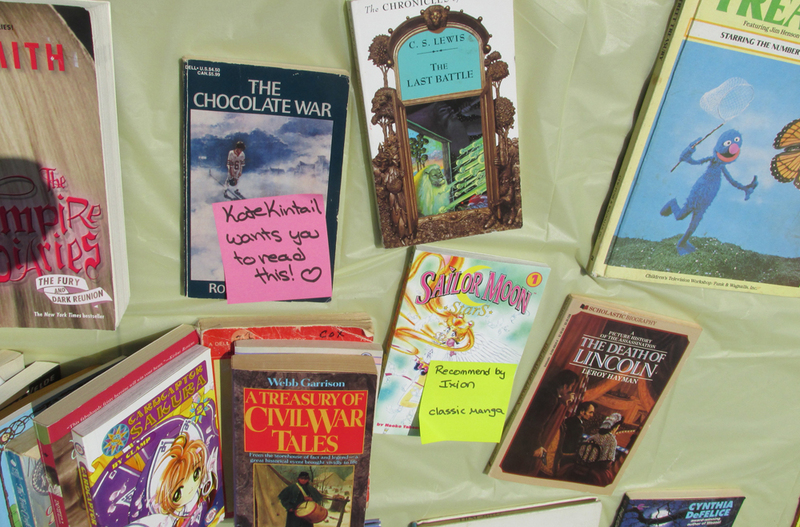 It was a snowy day but warm inside and plenty of books to enjoy! 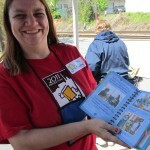 There was even a visiting bookbox. 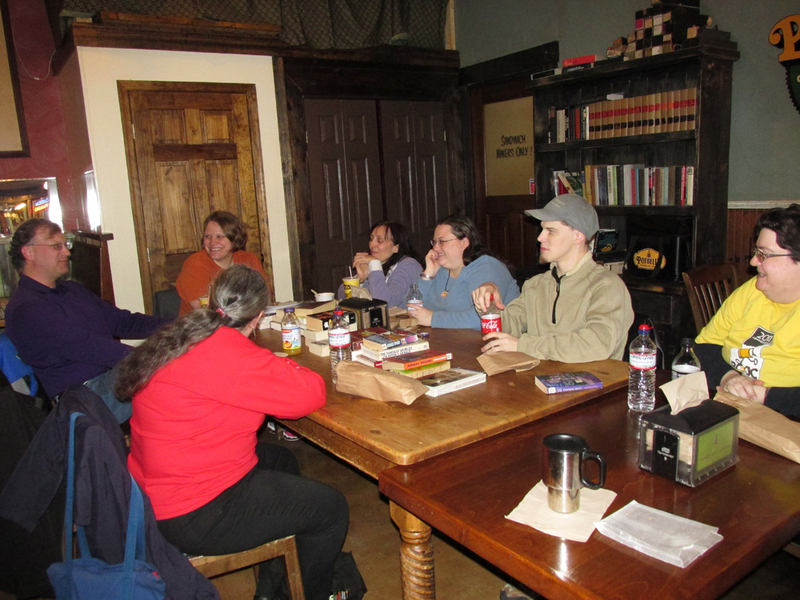 BookCrossers in attendance: FURBALL, Ixion, KateKintail, krin511, melydia, nat4lee, and 6of8. 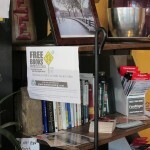 A new page for BookCrossing-friendly release locations in our area has been added to the website here: http://www.bcindc.zoiks.org/release-locations/. 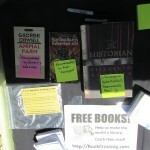 There are now pages that list the new OBCZs and Little Free Libraries. 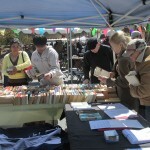 Check the listings out and give the locations a visit! 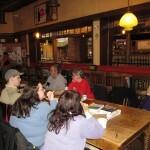 As always, if you know of any others not on the list, contact us so we can add it!